Real or counterfeit? Northwestern Univ. scientists have invented sophisticated fluorescent inks that one day could be used as multicolored barcodes for consumers to authenticate products that are often counterfeited. Snap a photo with your smartphone, and it will tell you if the item is real and worth your money. A key advantage is the control one has over the color of the ink; the inks can be made in single colors or as multicolor gradients. An ink’s color depends on the amounts and interaction of three different “ingredient” molecules, providing a built-in “molecular encryption” tool. (One of the ingredients is a sugar.) Even a tiny tweak to the ink’s composition results in a significant color change. “The rather unusual relationship between the composition of the inks and their color makes them ideal for security applications where it’s desirable to keep certain information encrypted or to have brand items with unique labels that can be authenticated easily,” Stoddart said. With a manufacturer controlling the ink’s “recipe,” or chemical composition, counterfeiters would find it virtually impossible to reverse engineer the color information encoded in the printed barcodes, QR codes or trademarks. Even the inks’ inventors would not be able to reverse engineer the process without a detailed knowledge of the encryption settings. Details of the fluorescent inks, which are prepared from simple and inexpensive commodity chemicals, are published in Nature Communications. Stoddart’s research team, led by Xisen Hou and Chenfeng Ke, stumbled across the water-based ink composite serendipitously. A series of rigorous follow-up investigations unraveled the mechanism of the unique behavior of the inks and led the scientists to propose an encryption theory for security printing. As another demonstration of the technology, the research team loaded the three chemical components into an inkjet cartridge and printed Vincent Van Gogh’s “Sunflowers” painting with good color resolution. Like the barcodes and QR codes, the printed image is only visible under UV light. Hou and Ke were trying to prevent fluorophore aggregation by encircling a fluorescent molecule with other ring-shaped molecules, one being cyclodextrin. Unexpectedly, they isolated the compound that is the active ingredient of the inks. They found that the compound’s unusual arrangement of three rings trapped around the fluorescent component affords the unique aggregation behavior that is behind the color-changing inks. “Since the color changing process is dynamic, even if counterfeiters can mimic the initial fluorescent color, they will find it impossible to reproduce the color-changing process,” Ke emphasized. Imagine an electronic screen that looks and feels like paper that could connect to your smartphone. You can shift your longer readings and video viewing to this bendable screen, then roll it up and throw it in your bag when you arrive at your subway stop. This may sound like sci-fi, but Israeli researchers have actually found a way to develop such thin, flexible screens you can use on the go. 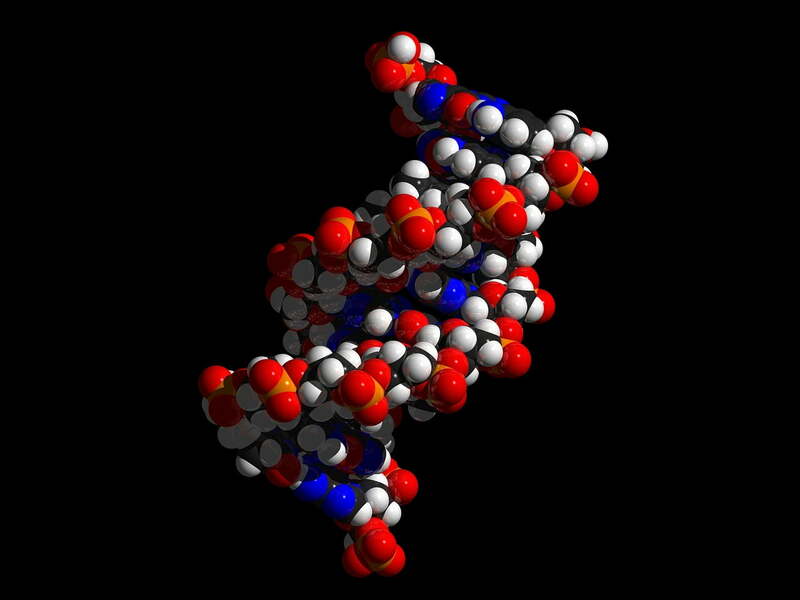 A new Tel Aviv University study suggests that a novel DNA nanotechnology could produce a structure that can be used to produce ultra-thin, flexible screens. The research team’s building blocks are three molecules they’ve synthesized, which later self-assembled into ordered structures. 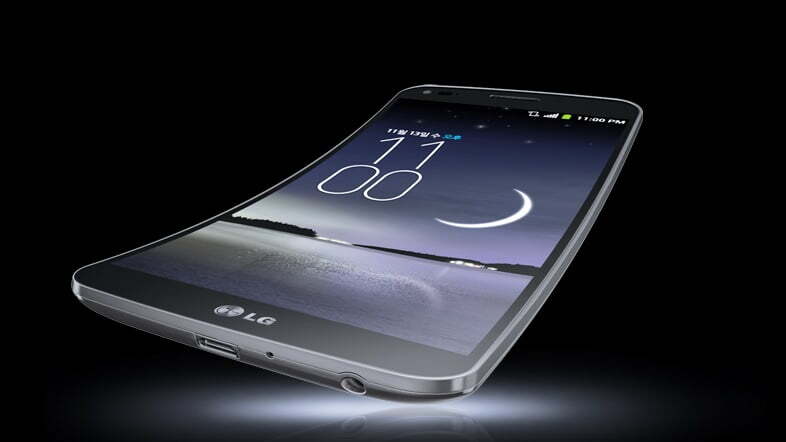 Essentially, the team has built the molecular backbone of a super-slim, bendable digital display. In the field of bio-nanotechnology, scientists utilize these molecular building blocks to develop cutting-edge technologies with properties not available for inorganic materials such as plastic and metal. This could provide a solution to roughly 2 billion smartphone users who may not want the content they view to be confined to a pocket-sized screen. That’s because currently the size of smartphone screens makes it particularly hard to read more than a few hundred words at a time or watch videos without feeling like you’re on the tilt-a-whirl at Six Flags. The number of people using mobile devices to view media is on the rise. According to Pew Research Center, 68 percent of smartphone owners use their phone occasionally to follow breaking news stories, and 33 percent do it frequently. Moreover, YouTube reports that 50 percent of its 4 billion video views per month are watched on a mobile device. The structures formed by the researchers were found to emit light in every color, as opposed to other fluorescent materials that shine only in one specific color. Moreover, light emission was observed in response to electric voltage — which makes this technology a perfect candidate for display screens. Back to the good old newspaper display? It’s important to mention that this technology is still in its early stages and a price tag for these screens remains unknown. What is clear, however, is that the desire to consume content on portable, large screens isn’t going away and consumer preferences are trending more and more toward bigger screens. 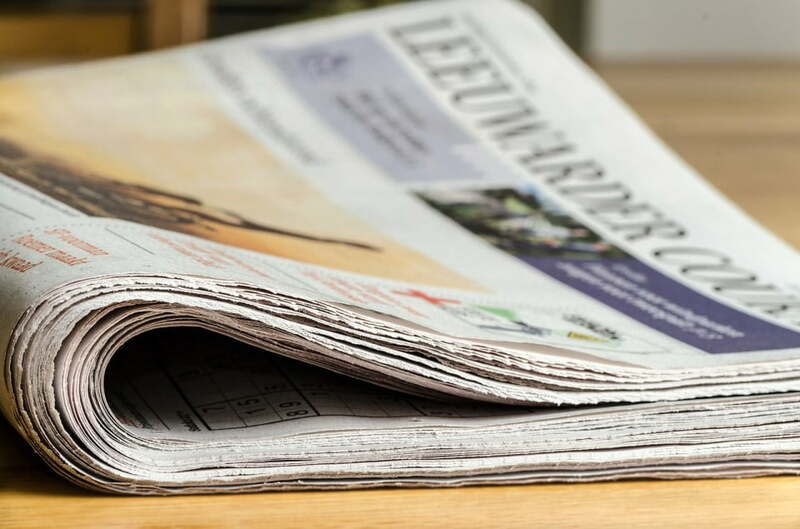 Ironically, people seem to be drawn back to the old newspaper display – thin, flexible, and capable of being rolled up; now, all of these features are turning digital. Regardless of flexibility, the tendency to enlarge mobile screens was already evident last year. It is widely believed that sales of Apple and Samsung (500 million smartphone in 2014) were buoyed by their newest smartphone iterations which boast larger screens than past versions. Apple especially took note of this trend, releasing the iPhone 6 (4.7 inch screen) and iPhone 6 Plus (5.5 inches) simultaneously. Dr. Christoph Deneke, Scientific Head at the Laboratory for Surface Science, Brazilian Nanotechnology National Laboratory (LNNano)/CNPEM, Brazil, delivered a WIN seminar entitled “Nanometer Thick Membranes as Substrates for InAs Growth”. Water Filtration, Waste-Water Remediation, Renewable Energies (Solar & Fuel Cells), Displays & Super Capacitors (Electronics) and Drug Therapies & Delivery. These ‘disruptive and game changing technologies’, are being researched and developed by experienced research teams at leading Nanotechnology-Development Partnership Universities in Canada, the U.S. and the International University community. Dr Enrico Da Como from the University’s Department of Physics, led the study. He explained: “The organic polymer consists of a chain of units which is mixed with the doping molecule before it is printed onto a surface. We found that the doping molecule can bind to the polymer in several different orientations, some of which make a more effective semiconductor than others. MIT’s associate dean for innovation is inventing at the nanoscale. Imagine hearing aids powered by see-through solar cells coating your eyeglasses, tiny switches operated efficiently by squeezable molecules, and television displays as colorful as nature operating at a fraction of today’s energy consumption. These are just some of the visions being brought to life in the laboratory of MIT Professor Vladimir Bulović. “Basic science discoveries lead us to devices that can exceed the state-of-the-art performances,” says Bulović, the Fariborz Maseeh Chair in Emerging Technology at MIT’s School of Engineering. An entrepreneur with multiple startups, holder of more than 75 patents, and award-winning educator, Bulović is at heart an applied scientist. His Organic and Nanostructured Electronics Lab (ONE Lab) has 18 students and postdoctoral associates but is used collaboratively by over 70 individuals. “Every student participates as a team member in the operation of the lab,” he says. One key motivation for Bulović’s work is increasing energy efficiency. “Today, more than 2 percent of the world’s electricity is used on TVs and display monitors. We think we can reduce that by a factor of two, which would be a significant energy impact. Even more, today, 20 percent of electricity is used on powering light bulbs. We think we can reduce that number by a factor of two, as well. Increasing energy efficiency is one key driver of our research,” Bulović explains. “All of the pursuits start with the understanding of the basic physical principles which are then applied to the operation of practical devices,” says Bulović. The group combines expertise in electricity and magnetism and knowledge of quantum mechanics together with uses of nanomaterials to make devices as diverse as solar cells, LEDs, lasers, chemosensors, and mechanical actuators. “We use our devices as test beds of physics, and try to ascertain what physical mechanisms dominate the nanoscale proceses within them. If the devices do not perform as well as we expected, they serve as a platform through which we learn physical behavior that we have missed previously, and then from that we apply the new refined physical principle to design a better structure,” he says. Development of renewable energy technologies that could be manufactured at scale is another driver of the group’s research. In May of last year, Bulović and collaborators set a new record, 8.55 percent efficiency, for quantum-dot solar cells. This collaboration with MIT chemistry Professor Moungi Bawendi and graduate students Chia-Hao Chuang and Patrick Brown demonstrated a fabrication process that does not require an inert atmosphere or high temperatures for its active layers, with the exception of electrodes. In these solar structures, quantum dots, fine-tuned for their optical response and charge transport, absorb the incident light, which promotes an electron from its ground to its excited state, and from there charges can move through the quantum dot film yielding an electric current. In another recent development, Bulović and Richard Lunt, who was a postdoc at the time and is now a professor at Michigan State University, demonstrated a new solar technology that uses molecular films, which do not absorb visible light, enabling these solar cells to appear uniquely optically transparent, practically invisible. These transparent solar cells can power devices such as an electronic book reader or provide electricity to future office buildings by coating their windows. Bulović also envisions coatings for eyeglasses that power Bluetooth radios or hearing aids from available light. “These invisible coatings absorb infrared light, which we can not see, to generate electricity, and could be as simple to place on your glasses as it is to paint a surface,” he says. Working in ONE Lab, MIT graduate student Farnaz Niroui and colleagues demonstrated electromechanical switches that use nanoscale deformations of thin films of molecules to control current passage through such switches. Niroui’s latest work builds on her earlier work showing a design for a squeezable switch — or “squitch” — which fills the narrow gap between metal contacts with an organic molecular film that can be compressed tightly enough to allow current to tunnel, or flow, from one electrode to another without any physical contact between the electrodes (the “on” position). When compressing pressure is released, the molecules spring back to open the gap between the electrodes wide enough that current cannot flow (the “off” position). The goal is to develop a fast-acting, low-power switch that can complement or replace switches in transistor-based systems. “What today’s researchers are exploring is just the beginning of a vast opportunity in the nano sciences and technology,” he adds. 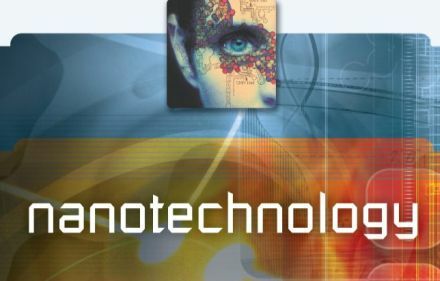 For example, Polina Anikeeva and Will Tisdale, former members of the Bulović lab and now both MIT faculty members in their own right, have followed opportunities in biological and optical measurement applications of nanotechnology. “They exemplify the breadth of opportunity that is ahead of us,” Bulović says. The planned MIT.nano facility, whose construction Bulović is supervising, will help move forward the new era of nanotechnology, he says. “The hardest decision for our group is to decide what not to work on because there are so many exciting research areas one could engage in. I am often delighted to see a field that we might have been among the first to be in, grow and blossom, allowing us to step out of it and allowing us to think about the next challenge we should engage,” Bulović says. So a solar cell can change its form from a panel that you install on your roof, to a flexible device that you can have on any surface, including clothes, bags, sheets, or whatever else one can imagine. Indeed, a 2011 collaboration between Professor Karen Gleason’s and Bulović’s groups generated extremely light solar cells grown on a sheet of paper. In December 2014, Joel Jean and Annie Wang from the Bulović group further reduced the solar cell substrate thickness to only a few microns, making these solar devices light enough to float on a soap bubble. Translation of technologies from Bulović’s lab to marketplace is often done by startup ventures initiated by graduating students. Such was the case with the transparent solar cell technology, which was licensed by Ubiquitous Energy, an MIT startup that opened its research facility just a few months ago, with the aim of changing the paradigm of what solar technology can be. Prior to that, in 2005 Bulović co-founded with MIT students QD Vision, which uses quantum dots for display technology that can presently be found in over 2 million televisions. In addition, QD Vision’s quantum dot lighting technology was shown to enhance the color quality of the most efficient lightbulbs, reproducing the glow spectrum of a typical incandescent light bulb, but consuming only one-sixth the power. In 2008, Professor Martin Schmidt and Bulović, with their students, spun out Kateeva, which is commercializing printing technology for large-scale electronics, including the toolsets enabling reliable fabrication of organic light emitting diodes (OLEDs) over 2-meter wide substrates. 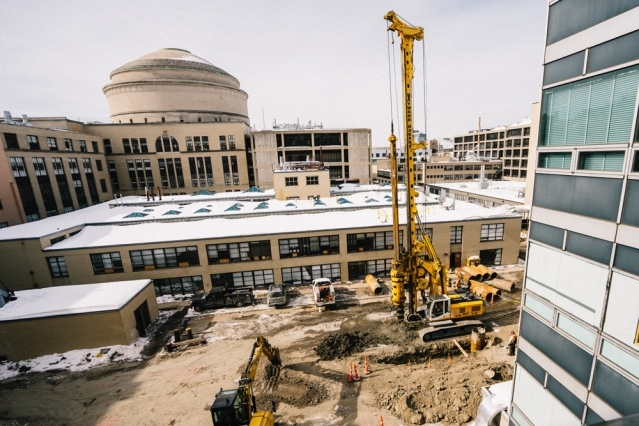 Bulović also heads MIT.nano, a $350 million construction project to build a state-of-the-art nanotechnology research facility in the heart of the MIT campus. “The goal of MIT.nano is to provide a transformational 21st-century workshop. In our building designs we are imagining what kind of toolbox will the campus need for the next three decades, ’til 2050. We need to build a flexible research space and a community-oriented space so that people feel empowered to go to it, use it, and then redefine it as the years progress, adapting it to the needs of the next generation of researchers,” he says. Graphene quantum dots created at Rice University grab onto graphene platelets like barnacles attach themselves to the hull of a boat. But these dots enhance the properties of the mothership, making them better than platinum catalysts for certain reactions within fuel cells.